Enterprises spent $1.3 trillion in 2018 on digital transformation technologies like public cloud platforms, microservices and containers, edge computing, machine learning, and artificial intelligence to improve customer experiences, business agility, and employee engagement. 1. Multi-Cloud Adoption Goes Mainstream. In FY18 Q3, the three leading cloud platforms (Amazon Web Services, Microsoft Azure, and Google Cloud Platform) accounted for 65% of the market share of public cloud infrastructure and platform services. Enterprises are increasingly relying on multiple cloud providers to avoid lock-in and harness innovative product offerings, global presence, and flexible pricing strategies. 2. AIOps Goes From Luxury to Necessity. Every 60 seconds, 160,000,000 emails are sent, 98,000 tweets are shared, 600 videos are uploaded to YouTube and 1500 blog entries are created. Data is being created at a faster pace than any time in history, and it needs to be operationalized. Artificial intelligence for IT operations (AIOps) is a clear necessity for modern IT infrastructure teams to keep up with the diversity, velocity, and volume of IT operational and event data. For example, IT teams can proactively prevent service outages, analyze real-time incidents using contextual knowledge, and remediate problems using AIOps tools. 3. The Cloud Native Skills Gap Becomes a Crisis. The transition from virtual machine management to container orchestration and monolithic development patterns to agile microservices will transform the way enterprises build, deploy, and optimize cloud-based applications. Surprisingly, IT operations teams are struggling to transform at the same rate of acceleration as the workloads they're managing. These teams will need to continue to invest in hiring, reskilling and re-education of existing employees to meet these new, business-critical demands. Clear strategy and focused execution will separate the digital winners from losers in 2019. How enterprises embrace and respond to these key trends will be key to unlocking disruptive innovation, operational transformation, and business value. 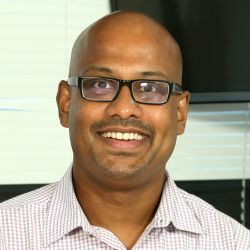 Deepak Jannu is director of product marketing at OpsRamp, where he is responsible for product positioning and messaging that drives awareness to the company's IT Operations Management platform.